Anonymous devotee from Canada says: Dear Hetal Ji and team, thank you for posting everybody's experiences, this boost our faith a lot on our Baba. I became a Sai devotee in 2009, when we first landed in Canada-Toronto. Since then, lots of Miracles happened in our lives, I always progressed and now I worked in a very well-known company, all by Baba's grace. I am married since 2002, and my daughter is currently 9 years old. All started in year 2007. My husband's behaviour changed, he was always using his laptop, until very late night, as well as his phone. When I asked him, what is it that he has to do on the computer until 2-3 am in the morning, he told me there is nothing that I should worry about, but he cannot tell me what he is doing. This continued. He ignored me and our daughter, and would work alternate shifts-we are both nurses, mostly nights. He would not talk to me as he used to. I was depressed and never told anything to my in-laws or parents. My friends were aware of this. There was a doctor, who worked in the same hospital we were working, we became good friends. He was married too. We would talk, and then for some reason, I don't know how, why, I started liking him. My husband came to know, but never asked me why I am doing this. And the one day, I was home, he thought I was sleeping, I heard him making appointment to meet with someone at the nightclub, when I asked what's going on. We had a big fight, and he hit me badly, for one hour, and damaged my right eye. Things got worse, we moved to Canada in 2009. His behaviour was still aggressive. He blocked me from Facebook for over 7 years, locked his I-Phone, so that I do not see what he is hiding, and would sit in the bathroom for 45 minutes every day, and we rarely have dinner together. When I asked why you do this to me, he said it’s none of my business, I remained silent. We somehow bought a home in 2011. July 2014, my mother visited us, he was happy that she came, no need to pay day care- expensive in Toronto. And now suddenly- my husband stopped talking to me gradually, until he became totally silent, since August 2014 to April 2015. I cried out to Baba every day, but never lost faith on our Baba Sai. I cried in office, while driving, and when everybody was sleeping. Asked Baba, please I cannot live like this anymore, to stop my suffering, cried and cried like hell. I had my husband's name tattooed on my left wrist, on Good Friday 2015, I went to the tattoo shop and got it covered up. I came home, he came to know I covered up his name, and I told my mother to tell him, I will go from this house now, with my daughter, and the house has to be sold. From being a homeowner, I am now renting a tiny town home, But i am happy, my daughter and me are at peace, no fighting, no crying. Baba Sai has helped me immensely, carrying me throughout these 7 years of miserable life, especially, a husband that I have loved a lot that treated me like this. Anyways, Baba Sai is great, I cannot live without Him, and I am taking my daughter to Shirdi this year. Always remember, Baba created us, and knows what is best for us, so we are His kids, and we need to surrender to Baba, and leave the rest to Him. Without Baba, I would have committed suicide with this type of relationship. Love You Baba, You are our only Family now. Anonymous Devotee from India says: Till the day, I have come to know about Sai Baba, my life has been changed a lot. I don't know how, day by day I am feeling an enormous attraction towards Baba's life. Not only His stories, His way of teaching, His advice are making an impression on my restless mind, most importantly I started feeling His presence in my life too. I am not that learned to describe how I am feeling or how it's happening. All I know is, Baba is guiding me in the right direction and I am slowly gaining control of my mind. I am too small to thank Baba. Rather, Baba, please accept my humble prostration. This experience is regarding my thesis proposal. For last few months, I was bit tensed about how to submit my thesis proposal without any hitch. Although I studied regularly, I was not very confident about my progress. Rather, I was worried if I can't prepare my proposal a full-proof one. There were other small problems also started cropping up. Although, I am saying they are small, any of them could have made the situation disastrous. I just kept praying to Baba to keep everything in place. He has taken care of all my anxiety. I missed the deadline of submission of proposal and on the verge of losing my stipend. Baba protected me by providing an unexpected extension of deadline. Then the presentation before my committee was not also that good. I have received number of feedback and suggestions. I was really worried because there was not much gap between my presentation in front of committee and final proposal seminar. I was praying to Baba and studying as much as possible. The day of my final presentation was yesterday, i.e. Thursday. In the morning, before the presentation I started towards Baba's Temple to get His blessing. In the empty campus, on the way, I saw a vehicle with Baba's name. It was really unexpected and inspiring incidence. I went to the Temple where one person was worshiping Durga Mata. He offered me Prasad. These two incidences created lots of positivity inside me. I presented my proposal in front of crowd. With Baba's Grace, it was wonderfully smooth. It was highly appreciated and was approved instantly. I know that I was only a mere instrument. It was Baba who entered within me to get this thing happened. I am still under that wonderful feeling. To all my brothers and sisters, just keep faith on Baba. He will carry you through the path without a little obstruction. Om Sai Ram, Om Sai Ram, Om Sai Ram. Anonymous Devotee from USA says: Hello, I want to share my experience about a Miracle which happened in my life. I am currently in USA living with my husband and 4 year old son. I have been through really severe problems in my life and praying Baba every single day to help me come out. I have a 4 year old son who is autistic and I have been undergoing the toughest phase of my life. It has been emotionally and physically draining since he was diagnosed 2 years back and life has become really sorrowful. I had not been a great devotee of Sai Baba and before Him, I had multiple worships to multiple Gods every single day to improve the speech of my son who has very limited functional speech. My sister was the one who inspired me towards being a devotee of Sai Baba and narrating His Miracles. I started to worship Sai Baba praying to Him that I see all Gods in His form. This was a miracle I have had in praying to Baba. To add to all my miseries, my husband had received a negative feedback from his employer though he was feeling that he was doing great in job. There was a potential chance of him losing the job. 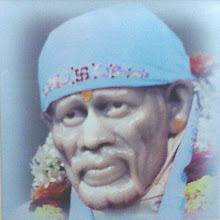 I am currently doing Nav Guruvar Vrat and reading Sai Baba miracles from Satcharitra whenever I feel down and by Baba's grace, he happened to do well and improve his performance and was saved from an otherwise miserable position resulting in serious implications and us losing visa status. We are living in our own house too which we would have to sell if we were to return back. We were not worried about us going back to India, but very really worried about our son who is improving little by little from the therapy here. And not only that, he has gotten a job offer from a bigger firm with huge salary increase and benefits. It is because of Sai Baba that such a miracle has happened in our lives and even i am not a very devotional person and i am thanking Sai Baba for this. I really thank Baba for blessing us with this opportunity in our miserable life. I pray to Baba to help my son speak too as life has been a living hell in seeing him struggle to use words to convey what he wants. When other kids are running around leading a happy childhood my son is sitting in an enclosed room undergoing therapy for 30-40 hours a week. Baba please help him to talk and friends please pray for us. Om Satchidhanandha Sadguru Sai Maharaj Ki Jai. Anonymous Devotee from Canada says: I have always thought myself to be revolutionary that I never went to God crying for help and thanked Him when good things happened to me. But I never knew that keeping my faith up through thick and thin is actually God. The patience I get through this experience makes me feel God. Even to write anything, I would have trouble thinking of a good start but this came to me really easy. It all started after I moved to Canada for my MBA. Suddenly, I felt like I did not have anyone around, loneliness and depression started embracing me. I had very bad meltdown moments during school and never actually thought I could make it. At the same time, owing to my negligence and loss of grip on everything important, landed me in the worst of troubles in MBA, that would have led to my visa getting cancelled. Basing my thought on all the bad experiences I decided that I will not believe in God anymore but was constantly challenged by my husband who is a Sai devotee. One day, we visited the Sai Temple and I told Baba that I will have full faith in You if You come to me, today. Soon enough the Chavadi procession started and Baba came close to me. I was very pleased and started reading the Satcharitra. I immediately experienced Miracles in my life. I was no more afraid of my situation thinking Sai was next to me to hold my hand always. Things did not get as worse as it could have been. Slowly, it took a turn for the better. I got a good internship even before others could start applying, my husband found a new job of his liking, I performed very well in all my courses. Most importantly, I started gaining a grip on my life and encourage more positive thoughts compared to earlier times. Today, I think and feel this is a second chance to life and to live that Sai has given me. We constantly read the Satcharitra, visit the Temple and feel Sai’s presence in everything we think. There is not one Miracle I can list down but everything has been a Miraculous change and returning to normalcy after a roller coaster year. Thank You Baba. Faith and Patience is the mantra that gradually causes these Miracles to happen. Sai sister Kheerthi from Malaysia says: I am Baba's devotees for past 2 years. I am working in a private hospital. I have experienced a lot of Miracles from Baba but this Miracle which I going to share was the biggest that I thought of. My mum has knees problems for past few years and even she was on treatment but it seems to better. She always pray to Baba and apply Vibhuti on her knee. I felt very sad when each time my mum knee get swells up and almost every day, I cry to Baba that I could not take to a specialist to get a better treatment because financial was the main reason. I cry Baba "Baba please show me how can help my mum from this because she is the only one, I have besides my daughter and husband. Please help me Baba". So, one day when I was on night shift, I saw one of my specialist doctor in orthopaedic and I stop him and explain about my mum knee problems and ask him how much will it cost for treatment. The doctor look at me and said bring her to see me I do it for her and for free. I was shocked and couldn't believe it and the next day I brought my mum to the hospital and they did x-rays of her knee and the doctor mentioned that she needs to inject gel to the knee so it can smoother it and she will better and he did that for her. As I find out the injection of the lubricants of 2ml costs $500 each and she needs 4ml which cost $1000 and of course procedures fees, consultation fees, equipment charges it can be almost to $2000 but I only paid for the x-rays $120. To is her fourth day of her treatment and feeling much much much more better and yesterday was Thursday 14th May, we went to Baba’s Temple to thank Him so much for wonderful Miracle, He have to us no words to express my feelings how I love Baba, He is Father, He is the king of home, my soul and He is everything in my life and my family. Thank You Baba. Anonymous Devotee from USA says: I was a normal devotee in India. After coming to US and reading the 'Sai Baba Miracles' in FB, i started gaining complete trust and devotion. Thanks for FB page. Now "Ohm Sai Ram" this became part of my life. After moving to US, I had to face many issues. My hubby was working in some other place and I don't know car driving. It became tough to balance life and work. On reading 'Sai Baba Miracles" page in FB, I did Sai Nav Guruvar Vrat. On completion of the Pooja, my hubby got good job in same place. My hubby was a kind of atheist, doesn't believe in God. However, I am devotee of Sai Baba. I used to pray God that he has to develop belief in You. Miracle happened that my hubby started supporting for all my Pooja’s and developed belief in Baba. Sai Baba is Omniscient, He can change anyone. Getting driving license is very important and tough in US. I already failed in drive test once and was very tensed. I prayed Baba and promised Him that if I will pass drive test, i will offer fruits. And by God’s Grace, I cleared the test and got license. I always wanted 'Sai Baba' Photo in my car. As with His blessings, I got driving license and the car. I was guessing that He can send the picture through my in-laws from India. But my in-laws didn't get any picture and was disappointed. One Saturday, I went to Baba Temple and did regular Pooja. Suddenly a person in Mandir came and gave me 'Sai Baba' Photo! I initially thought he might be distributing it to all devotees. But no, he just gave it to me and is very old 'Sai Baba' Picture where Baba is smiling. I was in shock and tears started rolling down! I felt very blessed that 'Sai' accepted me as His devotee. I love you sai baba ..thank you so much for all your signs..
Sai ram.. Can anyone tell me wats the difference between nav guruvar vrat and the usual vrat we take on all Thursdays. I take vrat on all Thursdays ,go to sai temple and then take my food.is this same as nav guruvar vrat...plz help.I am confused. Dear baba and devotees,im suffering now.but only thing different is im suffering due to failiure in marriage.soon after marriage with in a week my marriage life got broken.it is due to my parents and brothers behaviours.but my husband also vry rude and unhonest person.my mother in law also very crazy to money dowry etc.. like my parents.due to all of these my married life broken. Like same as u due to this i got much of pressure in both side ,worried sooooo much,depressed ,cried and cried every time, couldnt eat continuously for 2 days, begged every members in both side to pls dont spoil my life ,pls unite both of us, even from my Gods also. At that time i clearly felt that surely im going to be become mad.i felt sooo much stressed.even i couldnt sleep for long days.at that time i begged from god shiva and paarvathi.like said in satsarithra this prithrings devi and god shiva sent me to my dearest god baba. Another thing like u said my parents and brothers blamed me for my marriage life failiure.intead of being as a healers they scold me a lot.really im a good charatered girl.i know that both of these families are playing in my life to money.crazy in money. At this risk time only baba pulled me to his lap.soon after go to his temple my mind felt a releif.upto this i scared a lot that if i live in this situation in soon 100 percent surely i will wander in road with mad.to this situation both of these families made myself.every day my family members scold me ,fighted with me. But after went to baba's temple my madness step by step decreased.i could felt what is going on surreding to me.by days passed i became to normal.but still now im worrying about my life.one thursday i did vrat and prayed baba with whole heartedly with sooo much of worty in my heart and saying to him.that night sharply at 12 midnight in my dream sitting baba(duvarakamayi picture) came and he sit near to me and took my hand and rolled his hand over my palm and said something else.i clearly saw him.but couldnt understood what he is saying.then he touched my head by his hand.i could saw and felt it too as it really happening in my dream.when he touched my head i felt that a electric waves passed with in me.clearly i saw and felt these and i could undrstand that im in sleep too.soon after i felt electric energy passed suddenly i waked up and afraid and watched the time .it was 12.10 mid night.i was so fear.but im sure it was baba.up to that day in temple i didnt pray that duwarakamayi baba picture.even i didnt watch that foto.i used to pray only the statue and samadhi mandir baba foto.from the next day onwards i used to pray duwarakamayi baba picture as well. Eventhough baba u didnt bless me what im asking for.that is about my marriage life.about my future.baba u know about my parents and brothers.they are so selfish and crazy.baba u r my mother,father,brother,grand father,guru,my God everything.i left my life only in ur hand,feet.pls bless me a happy married life in soon.u r my only hope.baba every day im crying a lot.dont u hear it baba? ?pls help me my grandpa. OM SAI RAM,Nav guru vrat is normally done for 9 Thursdays,you can get all procedures in shiridi babas blog or google & you will find. YOU CAN ALSO COLLECT BOOKS RE THIS VRAY IN SAIBABA TEMPLE. OUR BABA WILL HELP YOU TO FIND AWAY. GOOD LUCK. SAIRAM. OM SAIRAM. Please try LUV SAI sie & you will get all the information re the vrat, baba will bless you, good luck. Sai ram why today's experiences not published? My day is always starts with your site. Please don't delay to publish devotees experiences. BABAji! Please bless us with Your divya darshan. Please forgive our sins and keep us near Your Holy Feet. Thank You for everything Saima. Baba, thanks for everything. Please be with us always and bless us all. Baba please bless me with a full time job and take away my negative thoughts.